The SVM 3000 Viscometer measures the dynamic viscosity and density of oils and fuels according to ASTM D7042. From this result, the viscometer automatically calculates the kinematic viscosity and delivers measurement results which are equivalent to ISO 3104 or ASTM D445. The Stabinger measuring principle with Peltier thermostat enables an incomparably wide viscosity and temperature range with a single system. 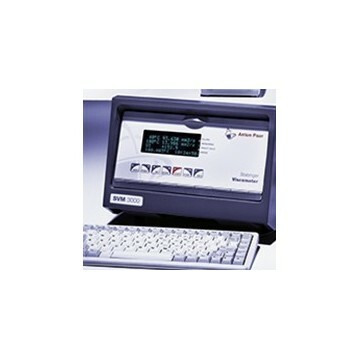 SVM 3000 is quick, compact and energy-saving, versatile in use, with only small amounts of sample and solvents required. This makes it the most efficient high-precision viscometer on the market.